The Government of Rwanda is setting out to increase national tree cover by 30% and to restore 2 million hectares of degraded land to fulfil its commitments to the national Vision 2020, Bonn Challenge and African Forest Landscape Restoration Initiative. Owing to the country’s limited land area, 85% of this restored tree cover will be through integration of more trees into farming systems, that is, agroforestry. This commitment, along with other land restoration and conservation initiatives already underway, will help Rwanda reach its ambitious targets, supported by a new project. Harnessing the Potential of Trees on Farms for Meeting National and Global Biodiversity Targets (Trees on Farms for Biodiversity) is led by the World Agroforestry Centre (ICRAF) and the International Union for Conservation of Nature. It is implemented not only in Rwanda but also Honduras, Indonesia, Peru and Uganda. It is supported by Germany’s International Climate Initiative of the Federal Ministry for the Environment, Nature Conservation and Nuclear Safety. 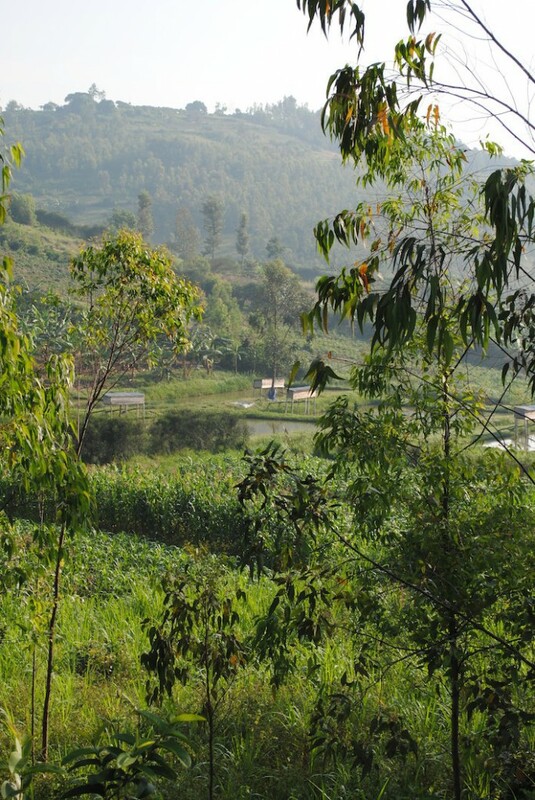 Natural forests in Rwanda are protected for the purposes of maintaining biodiversity, mitigating climate change and as a source of income through tourism. 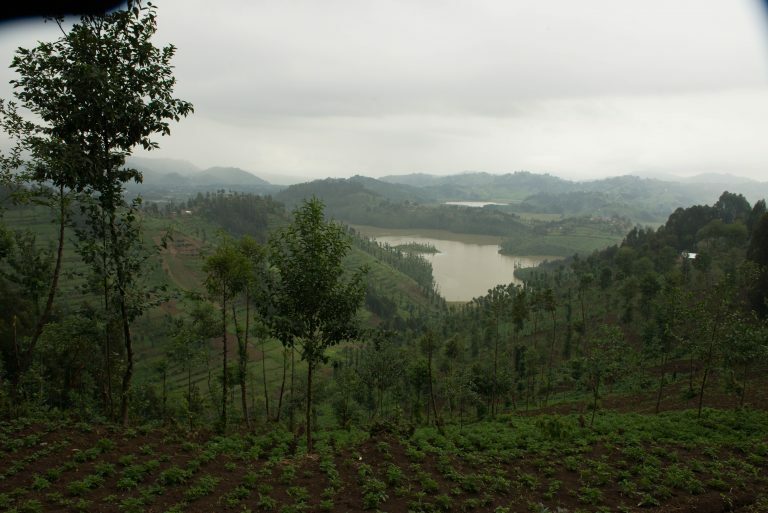 However, acknowledging that protected areas alone are inadequate for preventing biodiversity loss, Trees on Farms for Biodiversity will contribute to Rwanda’s National Biodiversity Strategy and Action Plan, which builds on the country’s commitment to Aichi Target 7 of the United Nations Convention on Biodiversity: the sustainable management of agriculture, aquaculture and forestry, ensuring conservation of biodiversity. As in many other developing countries, Rwanda’s agriculture is the biggest driver of deforestation. According to the Natural Resources Authority, from 2008/09 to 2013/14 the area of productive forests shrank from about 285,000 to around 258,000 hectares through conversion to agroforestry and agriculture. Shrubland, including wooded savannah, diminished from about 192,000 hectares to an estimated 143,000 hectares through conversion to agroforestry and agriculture. To put it another way: agricultural land increased from 1,460,000 to around 1,503,000 hectares through conversion of productive forests and shrubland. The establishment of new settlements and mining activities are also hindering the Government’s efforts to protect biodiversity. Agroforestry, the practice of integrating trees with crops and livestock, provides products and services vital for improving livelihoods and ecosystems, such as more diverse and plentiful food, timber and fuelwood and improved soil and water conditions. Agroforestry systems are inherently more diverse than monocultural crop systems, automatically helping to increase biodiversity. Following the stakeholder forum, the Rwanda Ministry of Lands and Forestry, IUCN and ICRAF convened a high-level panel of delegates from different sectors to chart a path towards improved cross-sectoral collaboration on designing sustainable ways to ‘green’ Rwanda. Trees on Farms for Biodiversity is a partnership between the World Agroforestry Centre and Centro Agronómico Tropical de Investigación y Enseñanza, Center for International Forestry Research, International Union for Conservation of Nature, University of Hannover and University of Göttingen. It will run for four years from April 2018.